Okay, to all Malaysian. As you know that iPhone 4S(s) are definitely arrived to Malaysia. So, to all iPhone lovers, what do you waiting for? Now, Digi offers the most affordable plans to you guys. *click to find out more if you want your doorbell surprise rings by postman deliver. It’s just too lame if I ask anyone know what is ‘SIRI’? Oh… come on man… The hottest incredible software that suddenly insert to the new iPhone with 4S. A Software that can talk with you and the most important thing is…. You can grab iPhone 4S up and start fighting with Siri. And of course, don’t think Siri is just stupid been scold by you, she will fight you back. So you still think Siri is fool? Besides that, Siri can help you find something just by using ‘TALKING’. 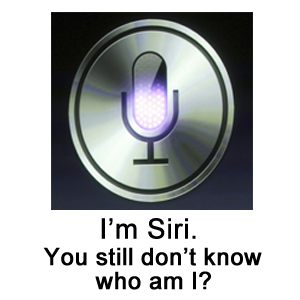 You just talk to Siri where, what, when, who and how without any clicking or writing. YOU JUST HAVE TO SPEAK, DON’T WRITE. Then, Siri will help you the best to give you the best information. Even Siri just only a smart phone. Siri also act as an information provider, alarm, reminder and ‘Friend’. A friend who can chat, fight and give you lotsa information. Grab your 'friend' home as soon as possible. More information go to http://www.digi.com.my/PhonesDevices/iphone4s.do to find out more.